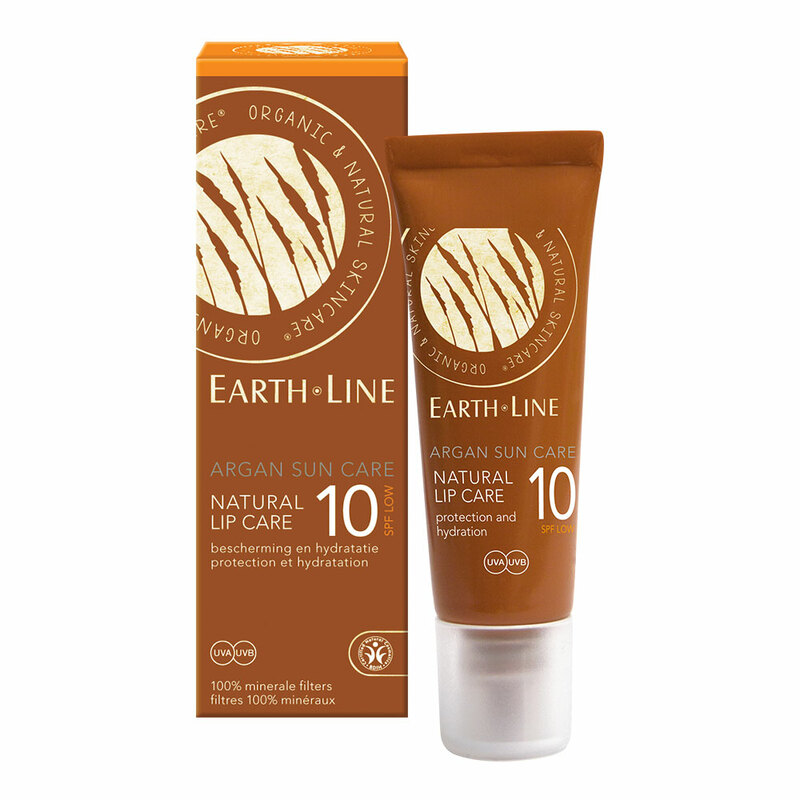 Natural Lip Care SPF 10, met 100% breed spectrum non-nano minerale filters, helpt schrale en droge lippen voorkomen. Voedt en beschermt. Trekt goed in. Naar wens op de lippen aanbrengen. Aqua (Water), Helianthus Annuus Seed Oil**, Caprylic/ Capric Triglyceride, Macadamia Integrifolia Seed Oil**, Glycerin, Butyrospermum Parkii (Shea) Butter**, Cocos Nucifera Oil**, Cetearyl Alcohol, Glyceryl Stearate, Zinc Oxide, Titanium Dioxide, Mangifera Indica Seed Oil, Sodium Cetearyl Sulfate, Alcohol, Simmondsia Chinensis Seed Oil**, Persea Gratissima Oil**, Polyhydroxystearic Acid, Fragrance Natural (Parfum), Argania Spinosa Kernel Oil**, Alumina, Aloe Barbadensis Leaf Juice Powder**, Aluminum Stearate, Cetyl Palmitate, Levulinic Acid, P-Anisic Acid, Polyglyceryl-2 Caprate, Sodium Levulinate, Tocopherol, Ascorbyl Palmitate, Plantago Major Leaf Extract**, Symphytum Officinale Root Extract**, Calendula Officinalis Flower Extract**, Disodium Cocoyl Glutamate, Sodium Cocoyl Glutamate, Stearic Acid, Sucrose Stearate, Isostearic Acid, Phytic Acid, Porphyra Umbilicalis Extract, Lactic Acid, Salix Alba Bark Extract**, Xanthan Gum, Glyceryl Caprylate, Squalane, Sodium Benzoate, Sodium Lactate, Lavandula Hybrida Oil, Avena Sativa Kernel Extract, Potassium Sorbate, Benzyl Benzoate*, Citral*, Citronellol*, Geraniol*, Limonene*, Linalool*.